Former rider Miguel Indurain thinks that Enric Mas (Deceuninck-Quick-Step) should be given more time to develop before asking him to start winning grand tours. The five-time Tour de France winner stated that it is too soon to ask the Spanish rider to pick up the baton of the country's cycling. Indurain believes that Mas will soon show that he has what it takes to win big races, but also that the public will have to wait until he matures more as a rider. 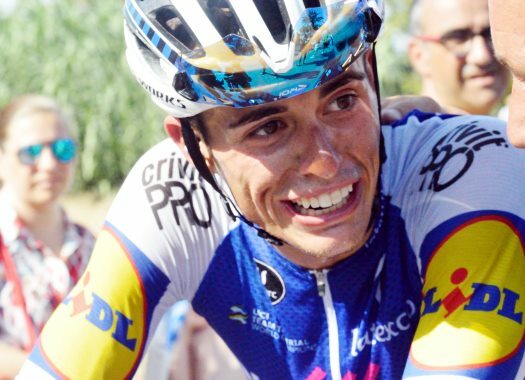 "Even though he has already done big things, it is too soon to ask him to save Spanish cycling in his debut at the Tour de France," said the former rider to Spanish sports newspaper Marca. "It is hasty. "This is a transition time, but it is clear that the young riders have to start to pick up the baton. Mas should go to the Tour to learn and to fight if he can. The main goal should be to take a good GC position, to get some experience and progress." Indurain thinks the future of Spanish cycling looks a lot brighter than what some may believe. "I can see a substitution in cycling," explained the Spaniard. "There is Mas but also Mikel Landa, the Izagirre brothers, Marc Soler. "It is difficult to reach the level that we have had in the last years, but there is enough good level to have a good representation."